"Chaldeans On Line" received the following email regarding the martydon of GHB member Mihayl (Cudi). "Chaldeans On Line" would like to send its condolences to the family of martyr Cudi and to GHB membership and leadership. Alaha mhaseyla wo mhase nashwathe wo nashe' deya. May God bless the soul of our Martyr. He lost his life for our national cause. The respected cadre and guerrilla commandant of our party, comrade Mihayel (Cudi), together with his guerrilla division lost his way through a wind- and snowstorm on the 11.01.2002 on the way back from their duty. Immediately after they managed to contact their headquarters through radio communication, help was sent to find them. Under utmost difficult circumstances the search through 1 mtr high snow layer began. The quest took a long time till they were found. Two of the three guerrillas could be rescued after immediate care, but for comrade Mihayel (Cudi) all help was too late. He died of freezing. 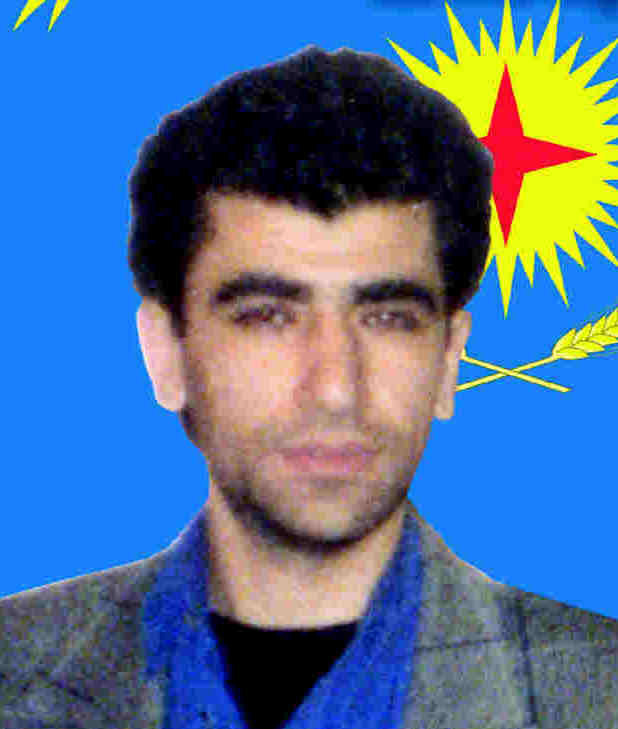 Comrade Mihayel ( Cudi) was buried on the 13.01.2002 after a special ceremony in the earth of our Homeland. Mihayel (Cudi) was born in 1971 in the village of Hassana. Together with his family he fled to Holland in 1978 where they resettled. He completed his studied and became a police officer after 5 years of police academy. In 1996 he became member of the party and. On the 1st of may 1999 he returned to the Homeland. There he was active for the party in Mossoul (Nineveh) and in other areas of the region. On the 11.01.2002 he died during on of his duties and became Martyr. To remember and mourn comrade Mihayel (Cudi), all over the Homeland and Europe mourning events are organised: Iraq, Syria, Lebanon, Holland, Sweden, Germany, Belgium, Switzerland, Austria. We are inviting all the groups of our people, friends and sympathisants to commemorate comrade Mihayel ( Cudi) and hereby recognising his struggle for the freedom of our people.